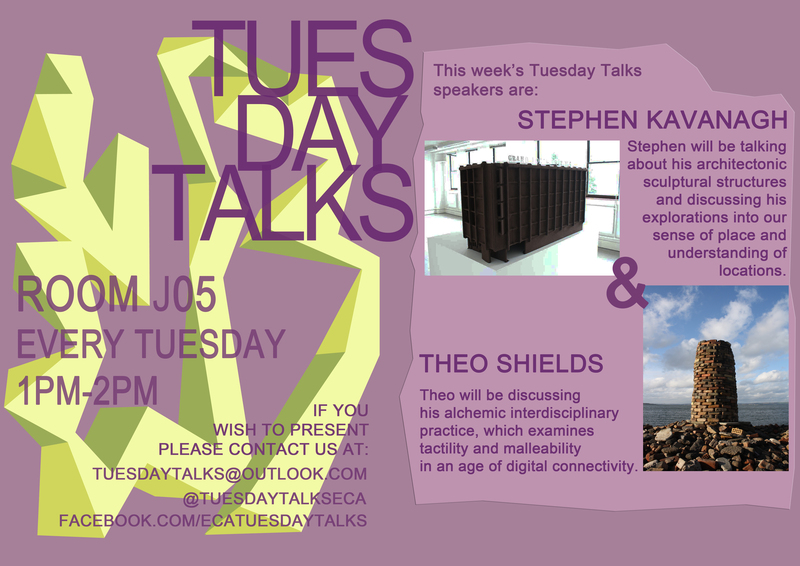 My First venture into public speaking, I will be giving a talk about my practice tomorrow in ECA as part of the Tuesday Talks programme. I’ve struggled thinking about what to talk about in relation to my practice and what I would like to gain from it. At the moment my practice feels particularly detached from what I used to do, clarifying how and why would be a great achievement and might help me distinguish the direction I want my work to go in. Looking into what I do now, the work I make in comparison to what I have made I feel it could be possible to open a discussion on the failings of my own practice. I say that in terms of what I try to achieve now, with new theories and reasoning’s to why I do things.